Sturdy collard leaves make excellent nutrient-dense wrappers for a tasty mixture of aduki beans, bell pepper and brown rice. Bring a large pot of water to a boil. Remove and discard thick stems from collard greens and place leaves in boiling water. Cook 5 minutes or until just tender. Gently remove leaves from water and drain in a colander. Carefully transfer 12 largest leaves to a baking sheet lined with paper towels. Chop remaining leaves and squeeze to drain excess liquid (you should have about 1 cup chopped leaves). In a large bowl, whisk together orange juice, tahini and garlic. Add chopped collards, rice, beans, bell pepper and sesame seeds. You will have about 4 cups mixture. 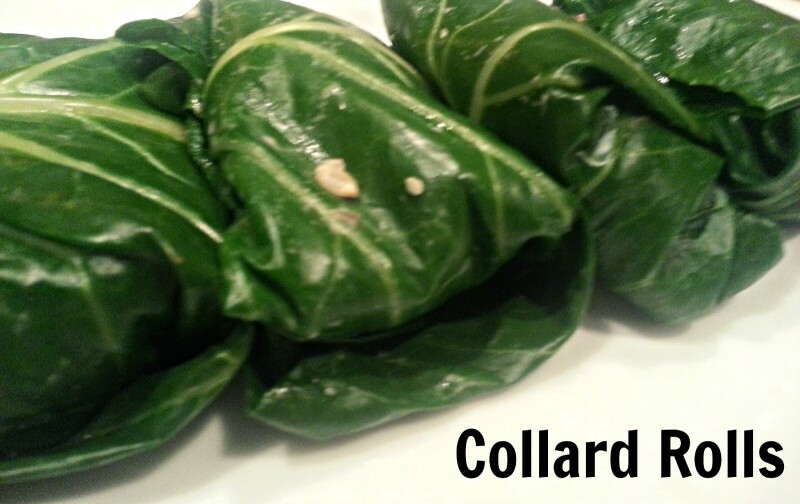 Arrange a reserved collard leaf on your work surface and top with 1/3 cup rice filling. Roll up, starting with the large end of the leaf and rolling it over the filling, tucking in the ends, like a burrito. Repeat with remaining leaves and filling and serve.